Stop Searching, Start Watching: Subscribe to Q Source's YouTube Channel Today! Searching for a good resource for informational and industrial product-related videos? Then subscribe to Q Source's YouTube channel and search no further. Our YouTube channel features product previews/reviews, informational/how-to videos, demonstrations, and our exclusive "On the Bench" video series. A few of our most recent videos included a look at Lindstrom's Rx 8140 RX-Series Ergonomic Cutters; an overview of R&R Lotion's ESD-Safe, Static Dissipative Bottles & Dispensers; and a product demonstration of 3M's Model 724 Constant ESD Workstation Monitor. We currently feature more than twenty videos on our channel and that number is growing on a regular basis. Future videos will include a series examining some of Excelta's most popular tools. So why miss out on all the action? It's very easy to subscribe. 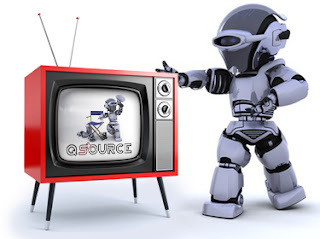 Just visit the Q Source YouTube channel, click on the "Subscribe" button at the top of the page, and choose if you want to be emailed each time we add a new video. That's all you have to do to ensure that you'll have access to our latest videos the second they're uploaded. Subscribe today!